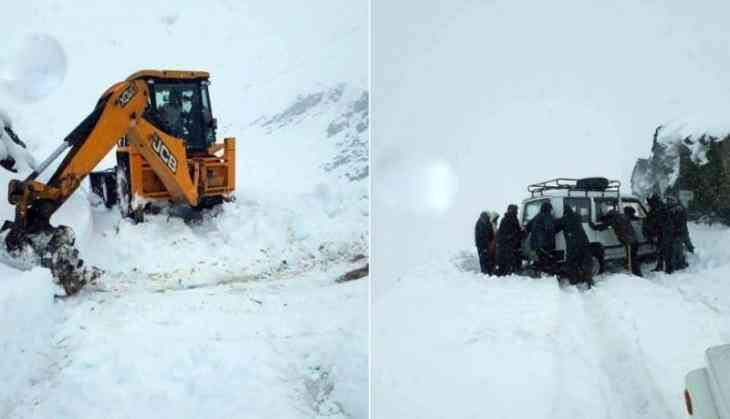 Among forty-five people, including 34 students of Indian Institute of Technology, Roorkee who had reportedly gone trekking in Himachal Pradesh's mountainous Lahaul and Spiti district are missing after heavy snowfall in the region, news agency ANI reported late on Monday. One of the students father, Rajvir Singh told ANI that the group had gone for trekking to the Hampta pass in Kullu and were supposed to return to Manali, the popular tourist hub. However, they have been unable to contact the group so far. However, no complaint has been registered about the missing students who went trekking in the area, said Kullu deputy commissioner Yunus. He added that it might be possible that they are among the stranded people in Khoksar. Following the heavy rainfall and snowfall, round five people were dead and a thousand others were left stranded in Himachal Pradesh. Four people, including a girl, died in Kullu, while a man died in Kangra district as heavy rain triggered flash floods and landslides in many parts of the state Monday, officials said. Unfortunately, Himachal Pradesh is facing heavy rainfall that is creating trouble for the people in the state. Over 120 people are reportedly stranded in Khoksar of Lahaul Spiti district of HP, said Yunus. Varun Dhawan-John Abraham's Dishoom just got hotter with Akshay Kumar in a man bun on a jet-ski!